Sponsor a mile or more at http://www.cattlebaronsball.com/DTFC. “We at Driven Experiences are honored and excited to be working with American Cancer Society and Cattle Baron’s Ball in Dallas in the fight against cancer,” said Andrew Hendricks, Driven Experiences’ President. “Driven to bring donations and awareness to this ongoing battle with cancer, it is our goal to raise funds to support families and patients going through treatment as well as support research that will one day bring cancer to a manageable disease. All of us here at Driven Experiences have been effected by cancer in one way or another and we are proud to charge hard and fight to raise hope for those battling this disease.” To donate today, please go to www.cattlebaronsball.com/DTFC. The Driven to Fight Cancer Trophy Truck will be on display raising awareness and money at the IMEX show in Las Vegas October 14th-16th, followed immediately by the Cattle Baron’s Ball in Dallas, Texas on October 18th. The truck will then go to the Specialty Equipment Market Association (SEMA) Show in Las Vegas November 4th-7th with qualifying for the SCORE Baja 1000 taking place on Tuesday November 5th in Las Vegas, Nevada. 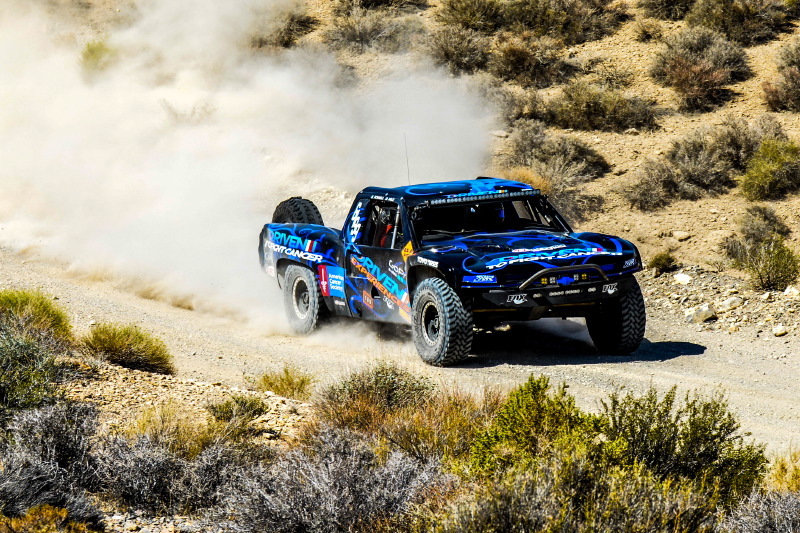 November 12th kicks off the week of SCORE Baja 1000, a grueling race that Andrew Hendricks, Jeff Humberson and Chuck Dempsey will be teaming to complete at the top of the most experienced class in off-road desert racing. Race and event tracking will be available through www.facebook.com/drivenexperiences. Cattle Baron’s Ball in Dallas, benefiting the American Cancer Society, hosts more than 3,500 guests and raises millions each year. The Driven To Fight Cancer, Driven Experiences Truck will be on display at this year’s event with multiple race experiences available for bid at the legendary live and silent auctions. “Cattle Baron’s Ball in Dallas is honored to collaborate with Driven Experiences and the Driven to Fight Cancer campaign to broaden our efforts to raise awareness and funds for cancer research,” said Jill Tananbaum, Cattle Baron’s Co-chair and American Cancer Society volunteer. “Seeing this relationship come together has been extremely rewarding and I cannot wait for it to gain the momentum it deserves,” said Jonika Nix, Cattle Baron’s Ball member and American Cancer Society volunteer.